I finally went to Aldi. I was a little unsure on what to expect. I had read the blogs and articles and knew the basics- bring your own bags and pay a quarter for your buggy. That part- no big deal. The part that worried me as we pulled into the parking lot was what was I going to expect as far as quality. I had read that the Aldi store brand was very good. One of my closest friends raves about all of the fresh fruit that she buys for her kids at a price that is so much cheaper than the regular grocery store. She also happens to live in another state. So of course in my mind, I am thinking that her location is fabulous and mine is going to be awful. I don’t know what I was thinking when we decided to go on a Saturday afternoon! The place was packed!! We maneuvered our way down each aisle trying to check everything out. We bought lots of pantry items and fresh fruit. We did not buy any meat ( except one pack of turkey bacon). I was in testing this place out mode… I was not ready to just dive completely in. We ended up buying 54 items for less than $100.00. We took them home and I can say that no one in our family had one single complaint about the quality of anything purchased. They devoured it all within a week. I did make note of the prices of the items that I was either walking past or purchasing. I compared 23 prices. The Wal-Mart total was $79.27 and the Aldi total was $50.50. 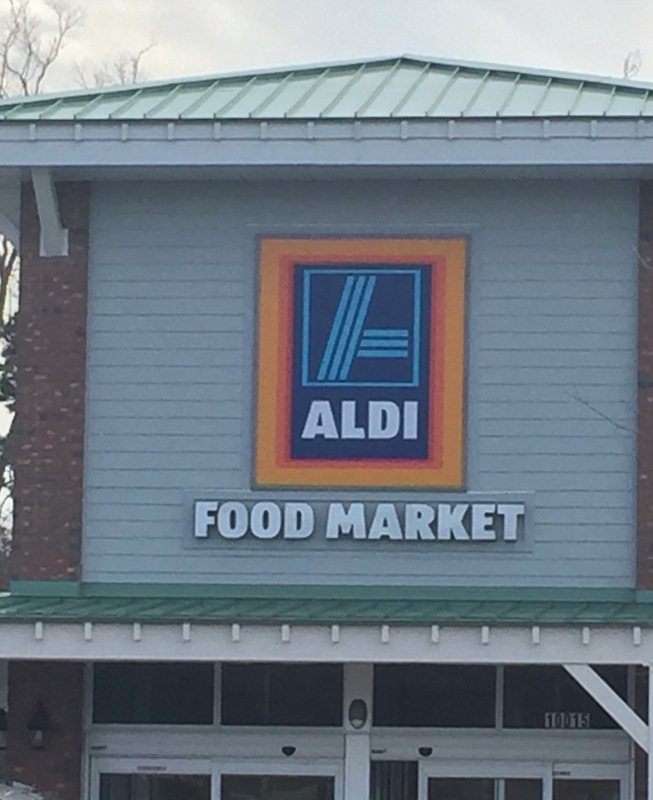 The Aldi in our area is not nearby- it’s about a 40 minute drive from where we live. However, I know that we will be going back. We were quite happy with all of our purchases. This entry was posted in Uncategorized and tagged aldi, budget, comparing prices, grocery shopping, saving money. Bookmark the permalink.